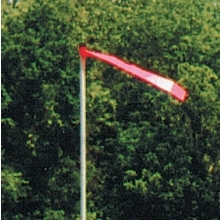 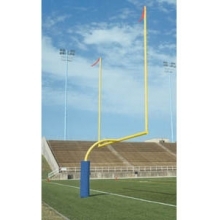 Top uprights are 20'H, 2-3/8'' dia. 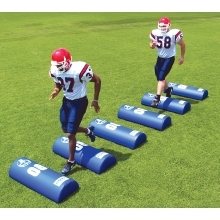 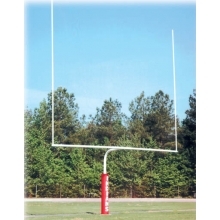 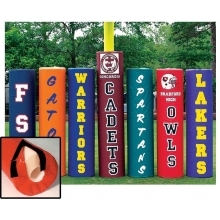 The popular 4-1/2" gooseneck styling and Bison's exclusive PerfectGoal design makes these NFHS goal posts an excellent choice for your high school football facility. 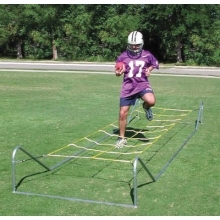 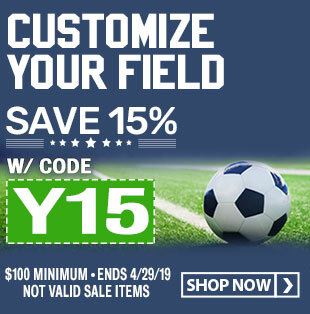 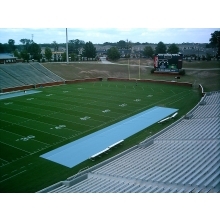 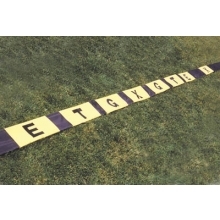 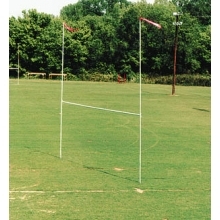 These goal posts have a 5' setback from the end line for safety and a tough, powder coated paint finish that gives the goal posts and attractive finish for many years. 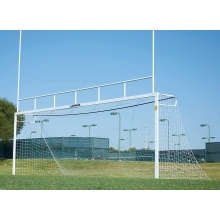 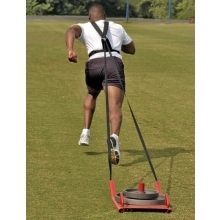 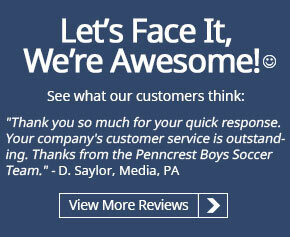 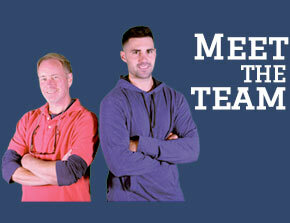 The goals are constructed of 20'H aluminum uprights and a 4-1/2" steel tube main upright and crossbar. 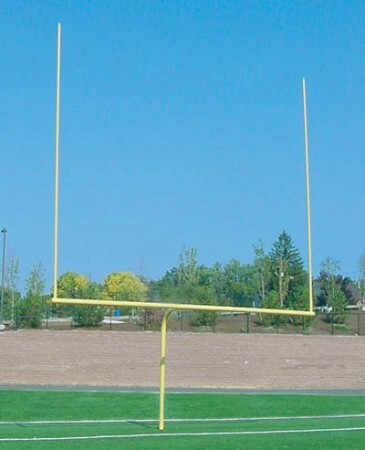 Bison's Perfect Goal design allows for easy installation and precise adjustment of the crossbar and uprights after installation of the main upright.